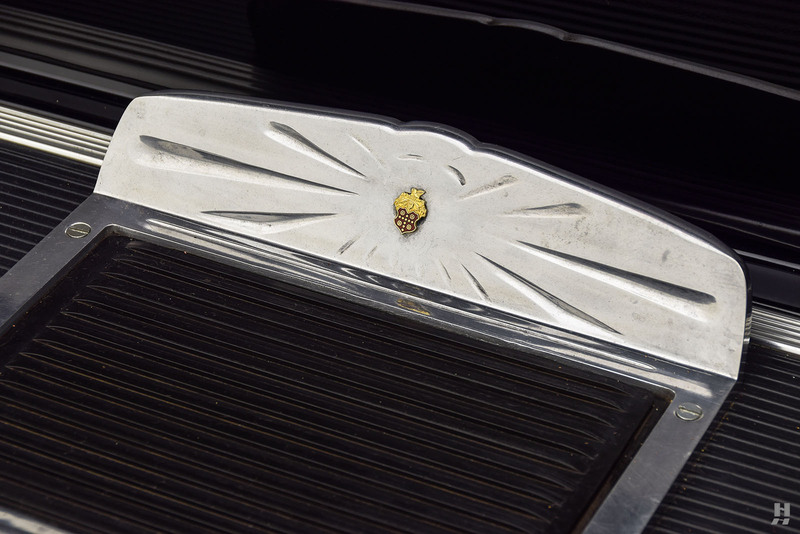 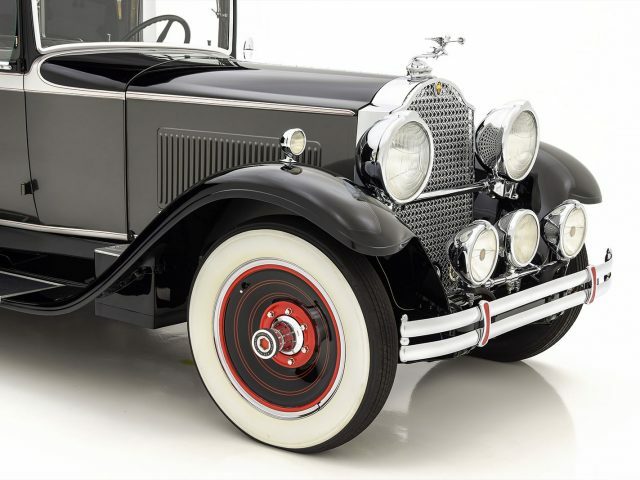 On the eve of the Great Depression, Packard enjoyed record profits and sales. 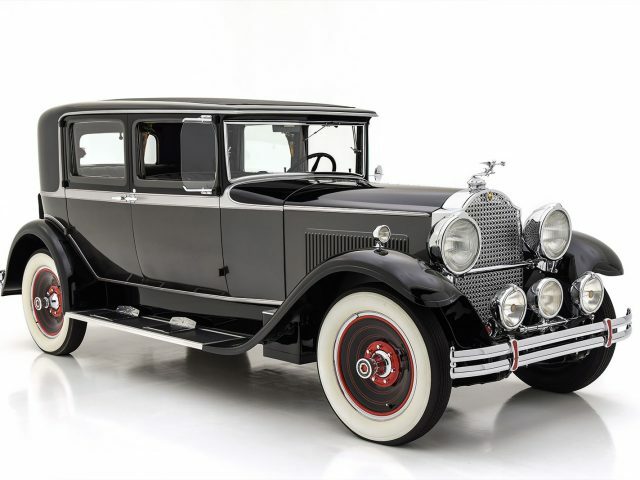 The 1929 fiscal year was a huge success, and Packard rode that momentum into 1930. 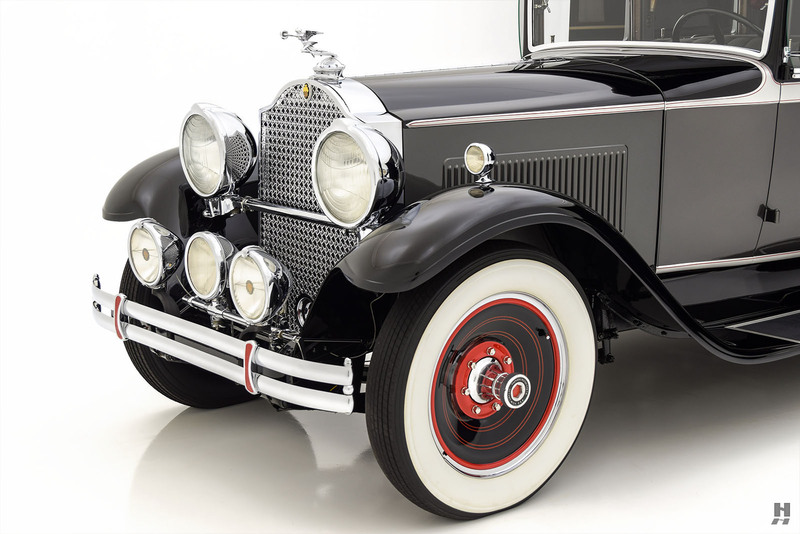 Company managers were well aware of the trouble brewing on Wall Street, yet remained cautiously optimistic they would weather the storm. 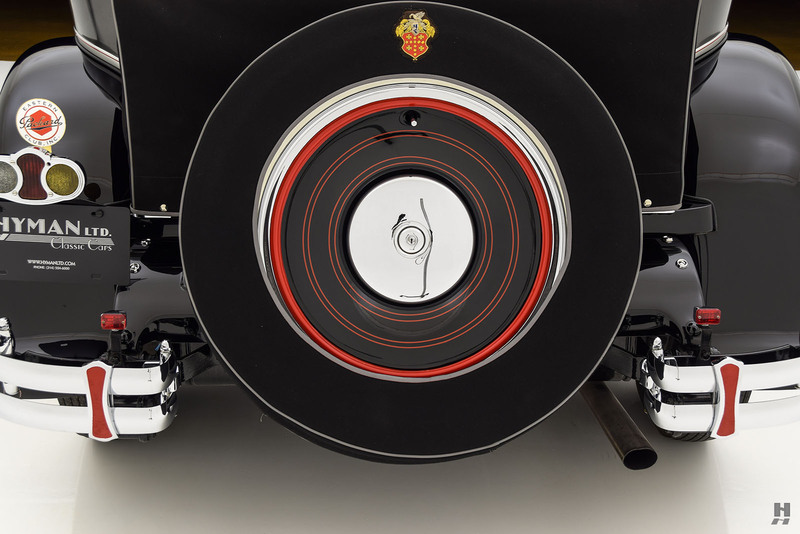 The new 7th series consisted of the 726, 733, 734 Speedster, 740, and 745 – with the last two digits of each roughly denoting the wheelbase in inches. 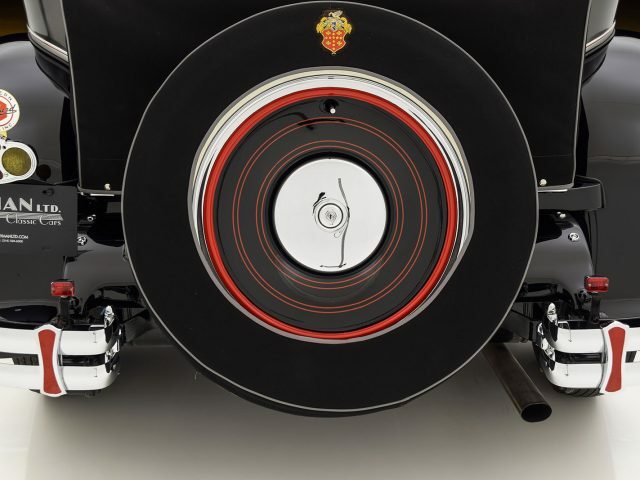 Ray Dietrich restyled the whole line for the new decade, producing a design that was lower and longer than before. 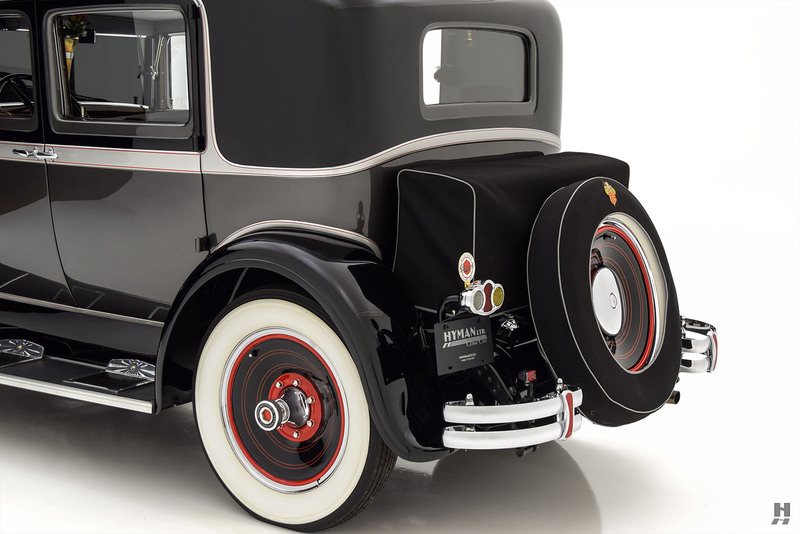 Wheelbases increased across the board, and the 733, 740, and 745 models all shared the same bodies, with the additional length taken up by the hood. 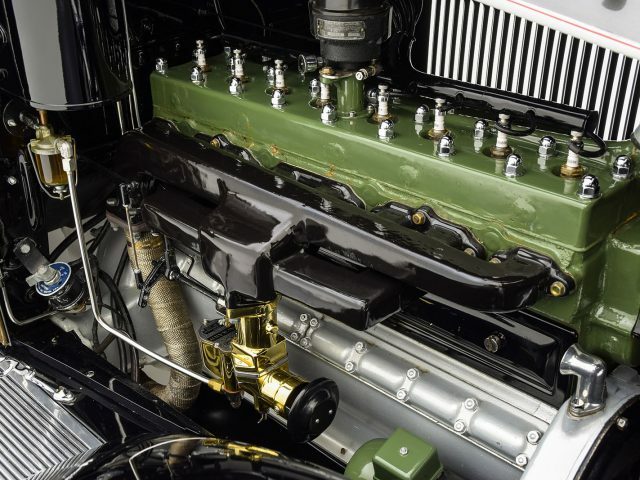 The engine sat further back in the chassis to improve balance, and some other minor changes freshened up the looks for the new decade. 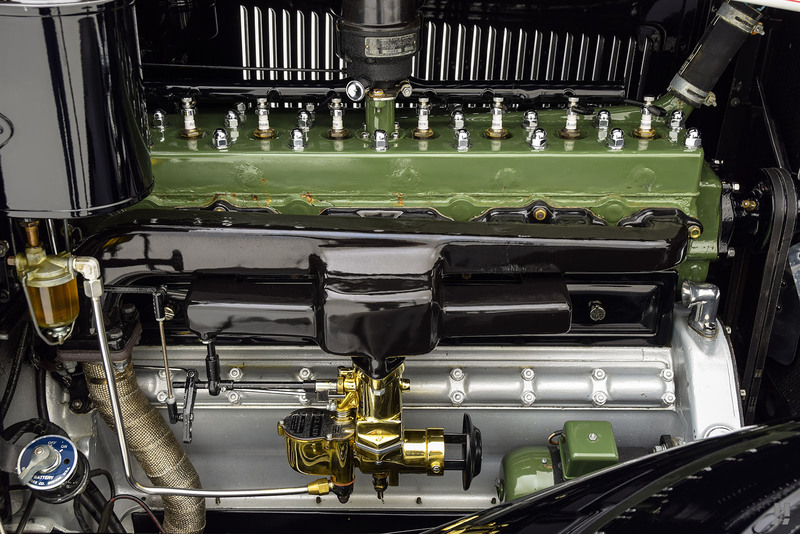 While Cadillac may have stolen the headlines with their remarkable yet costly new V16, Packard stayed the course with their proven, reliable and refined inline-eight cylinder engines. 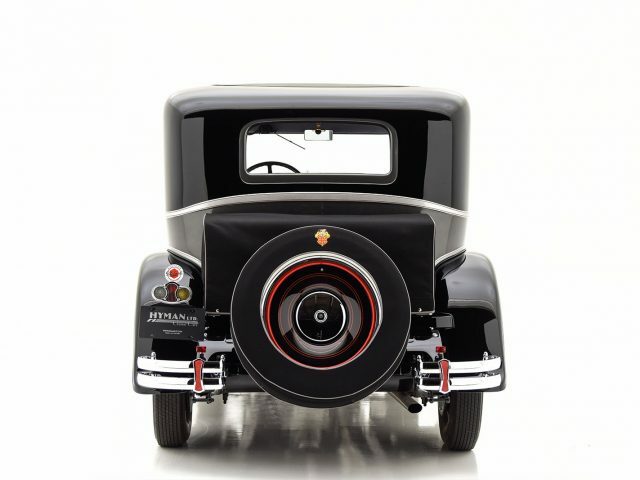 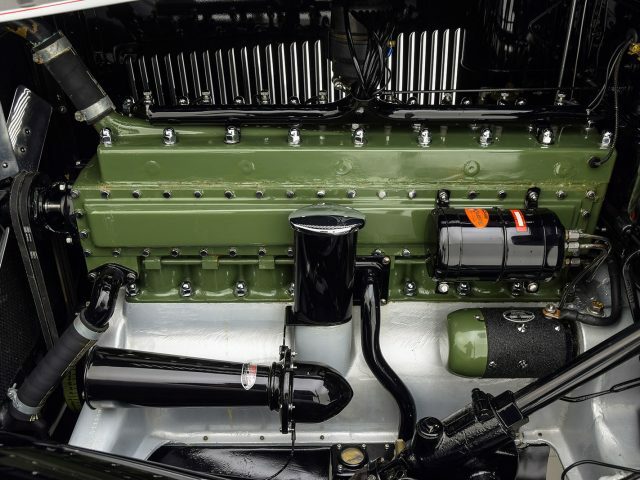 The motivation for the Standard Eight came in the form of a 319.2 cubic-inch unit, developing a healthy 90 horsepower, which aligned it directly with the Cadillac 353 V8. 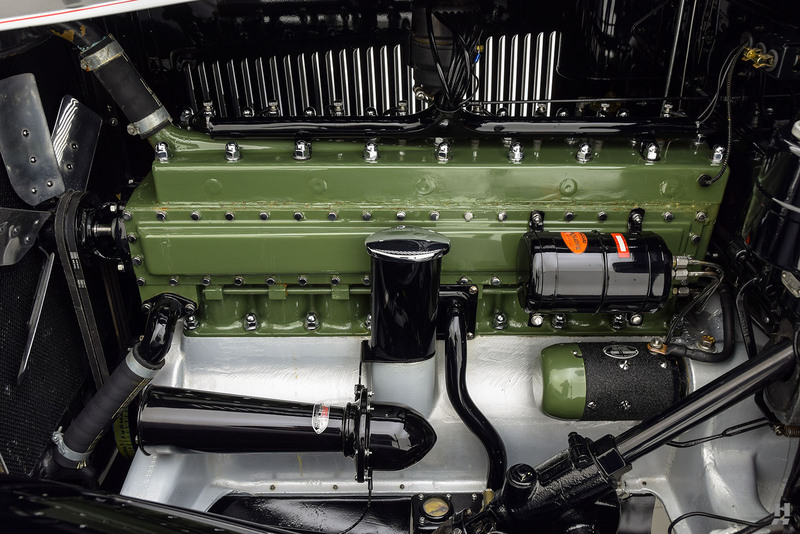 A new four-speed gearbox offered an ultra-low first gear. 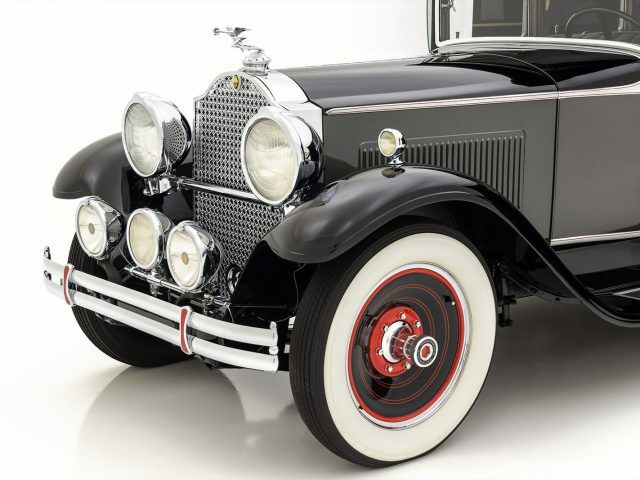 Aside from that, changes over 1929 were few, aimed merely at improving the refinement and reliability. 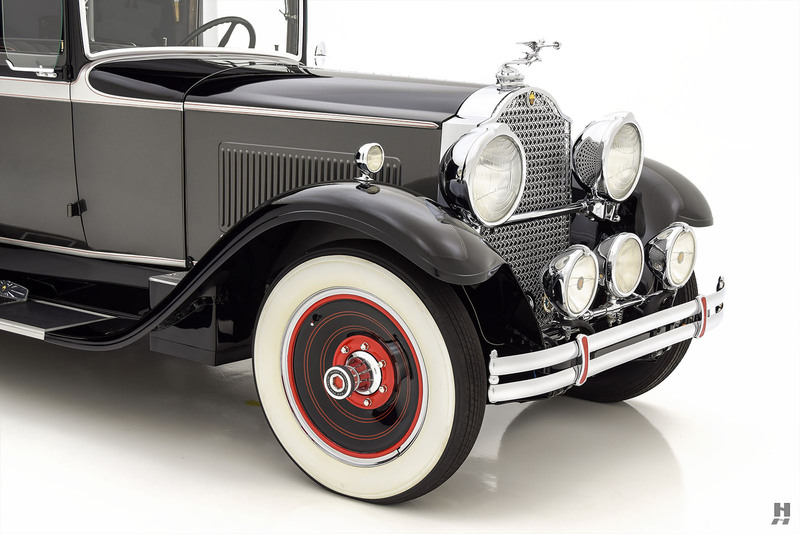 Packard’s measured approach paid off, and despite the worsening economic conditions, sales only dropped slightly over the previous year. 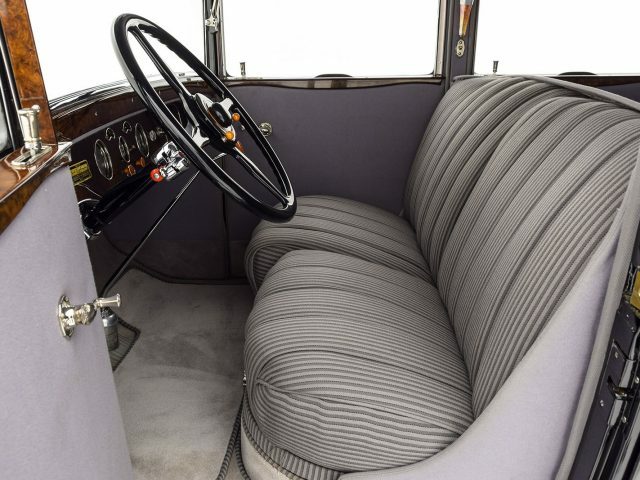 Of course, harder times were yet to come, but by holding to their values, Packard would weather the storm. 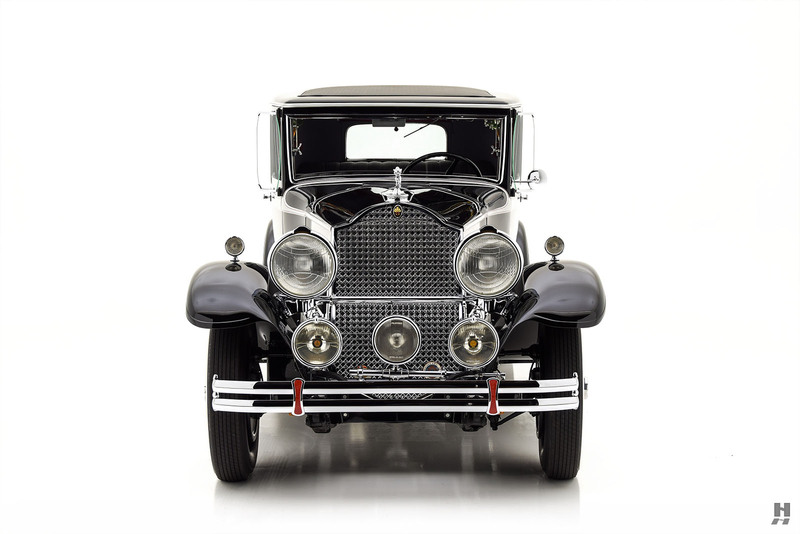 By the time the depression lifted, Packard was battered and bruised, yet they had fared so much better than many of their rivals. 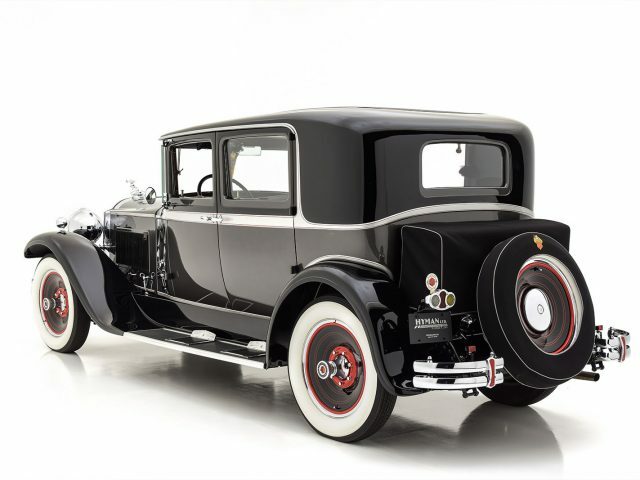 The standard-setting Packards of 1930 stand today as some of the finest driving cars of the Classic Era, with impeccable style and presence to match their performance. 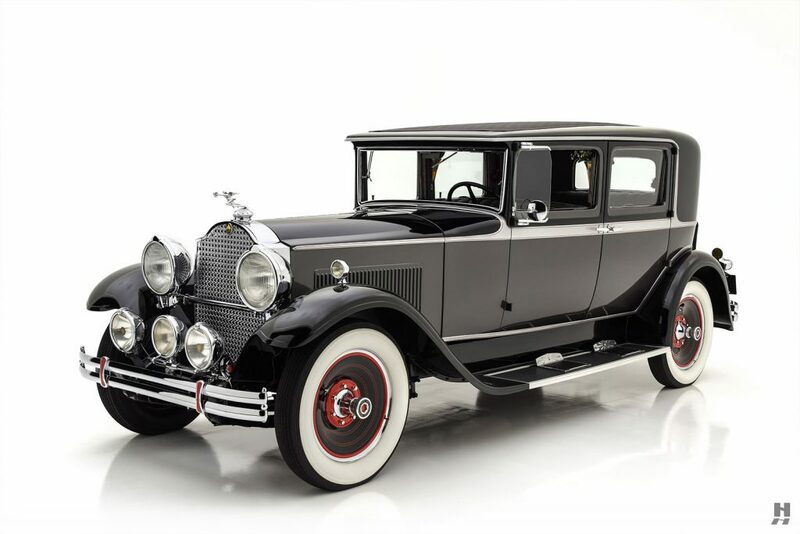 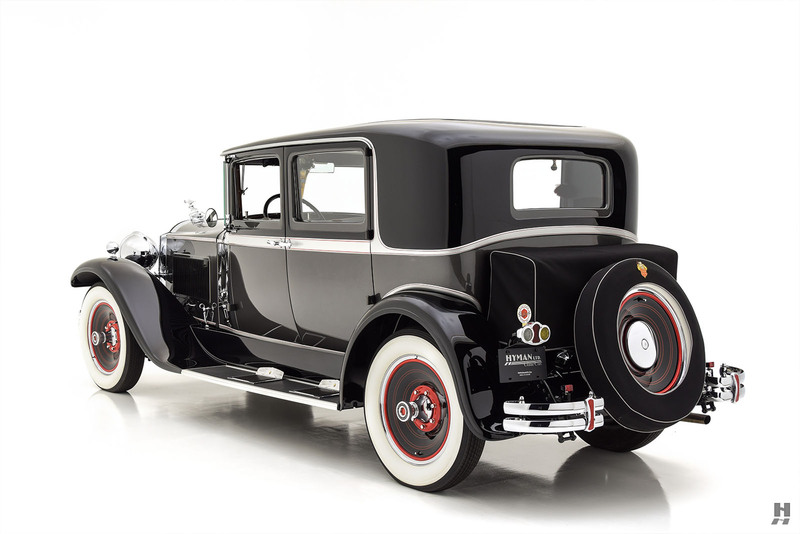 This 1930 Packard Eight Club Sedan benefits from an outstanding, high-quality restoration finished to concours standards. 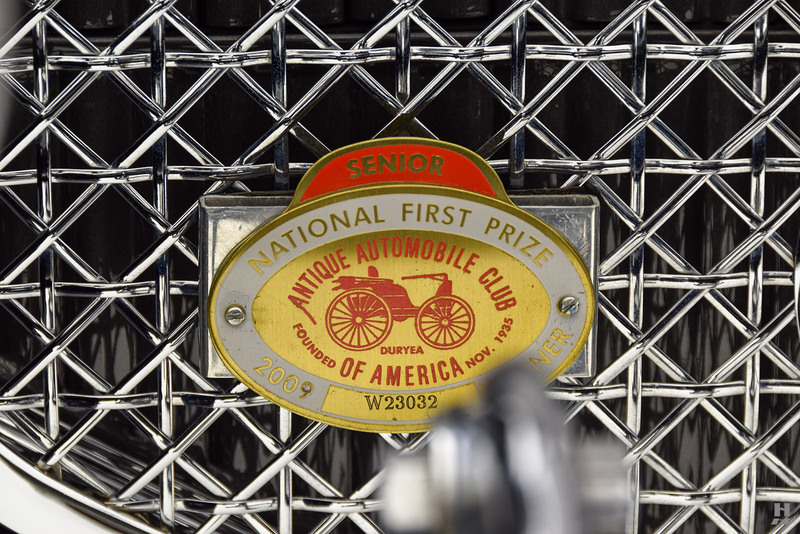 The recent history began in the early 2000s when the car was located in Pennsylvania. 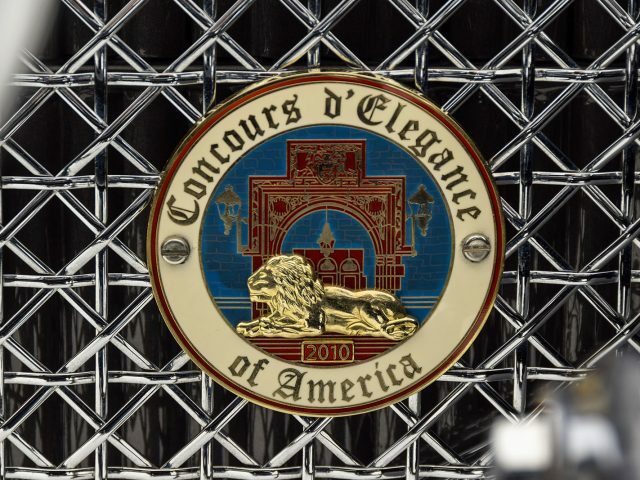 It passed to a Connecticut-based enthusiast, as a complete and driving car in need of some refurbishment. 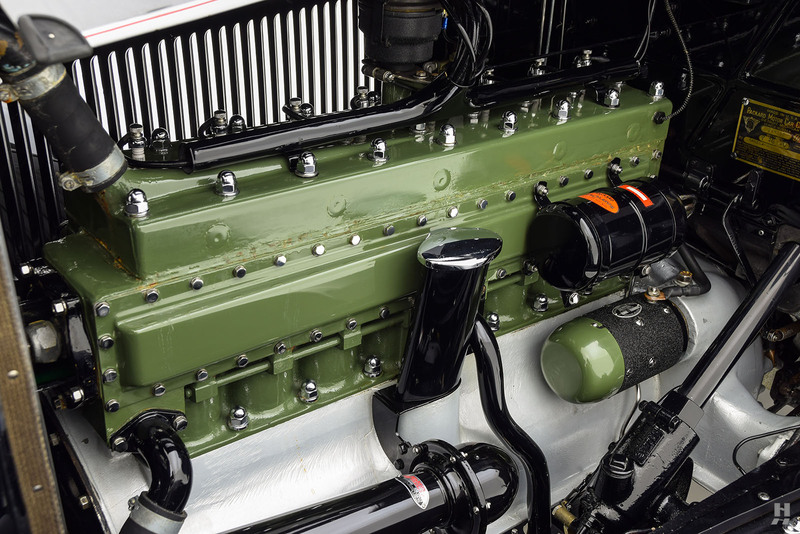 What began as a simple refresh soon grew into a comprehensive, nut-and-bolt restoration with meticulous detailing. 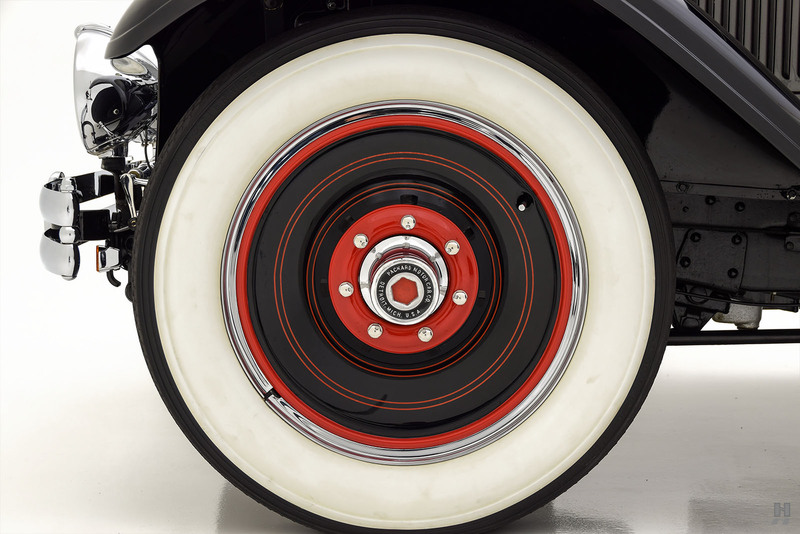 Byron York of Ridgefield, Connecticut handled much of the initial mechanical restoration. 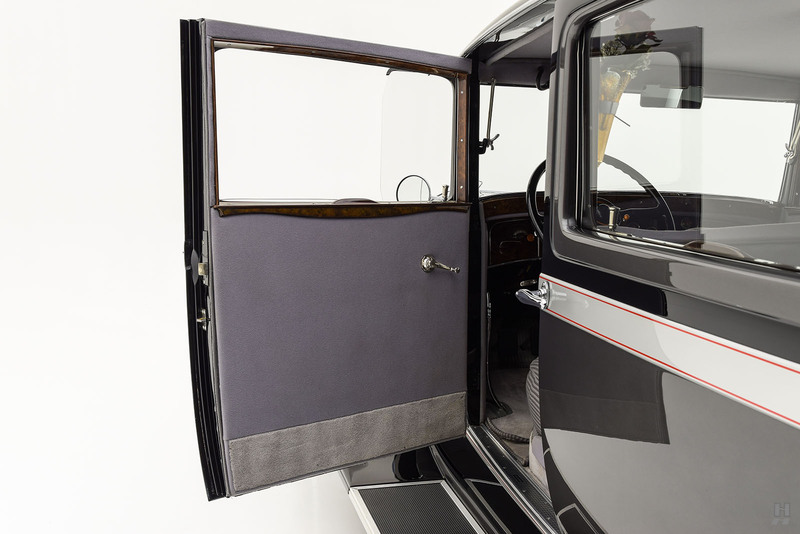 Later, the body restoration, cosmetic finishing, and interior were entrusted to Black Horse Garage of Bridgeport, Connecticut. 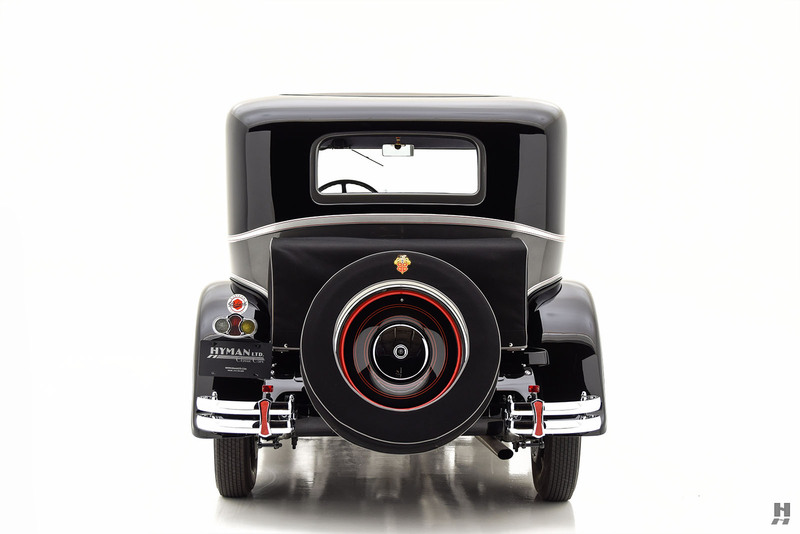 There, the body was stripped down, carefully realigned and refinished in a striking black, gray, and silver combination. 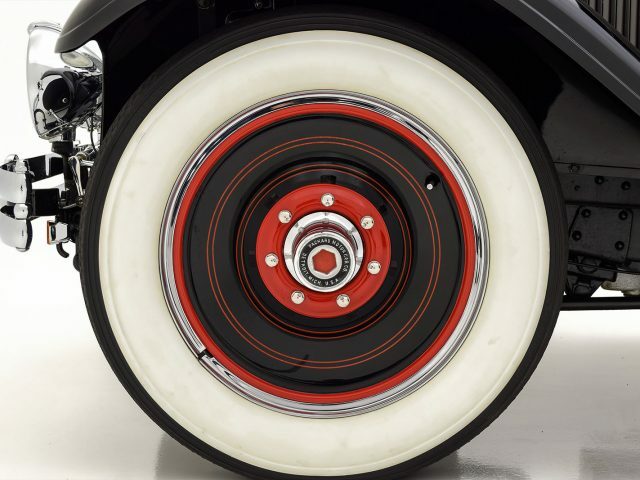 Setting off the impressive body are beautiful red pinstripes and red accented disc wheels wrapped in wide whitewall tires. 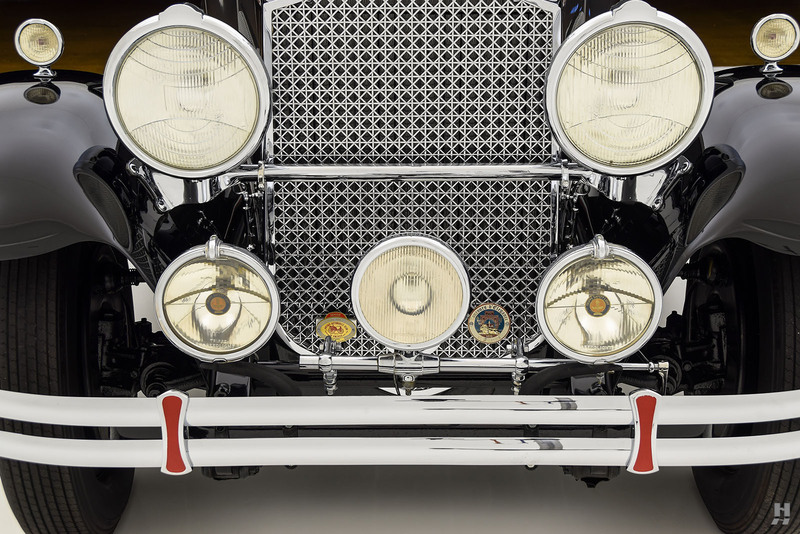 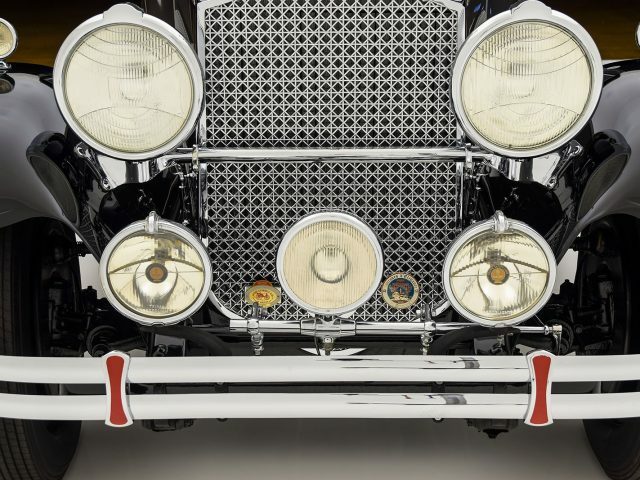 The car features a comprehensive array of period accessories, including Depress Beam headlamps, dual fixed Trippelight fog lamps, and a single Pilot-Ray spotlight. 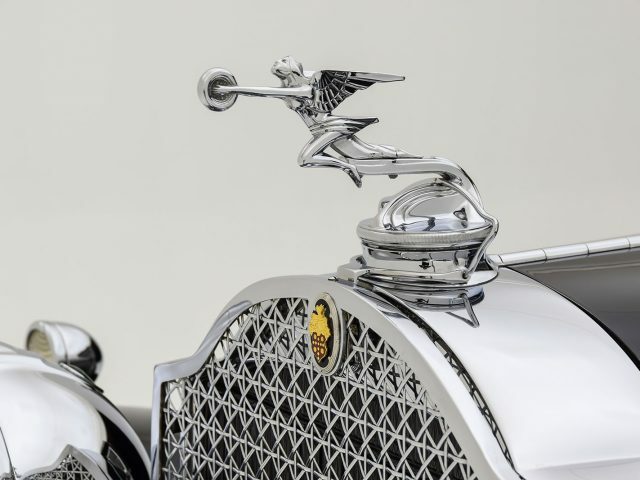 There’s also a mesh radiator stone guard, Goddess of Speed mascot, wind wings, a covered trunk, and rear-mount spare wheel. 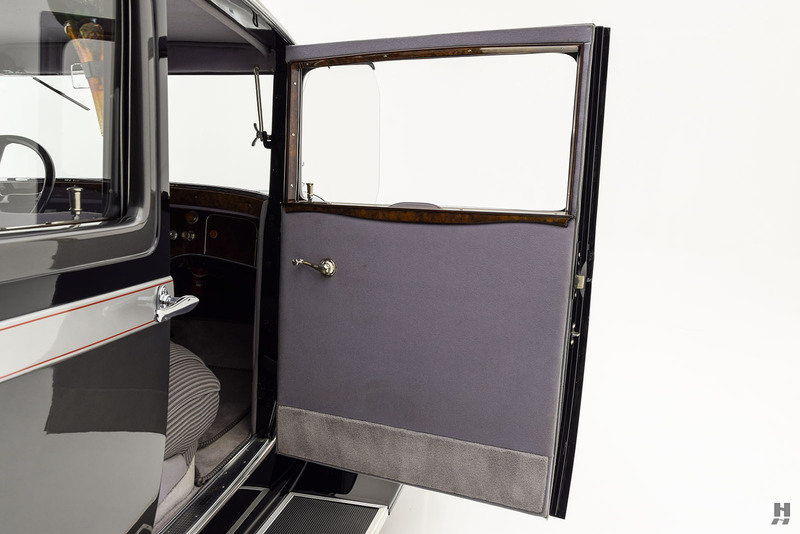 The quality of the paintwork is outstanding, and it remains in exquisite condition in the time since the restoration was completed. 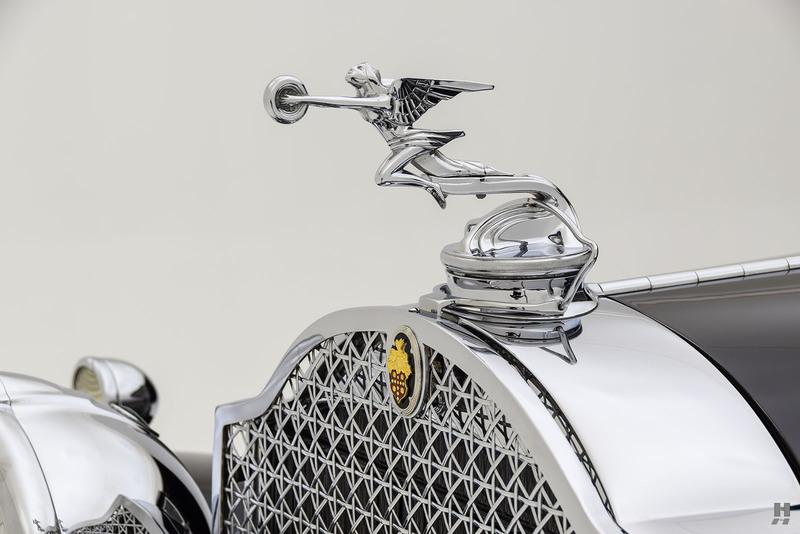 Likewise, the chrome plating is gorgeous – with many of the significant components restored by the Pebble Beach-winning shop D&D Brightworks of Ohio. 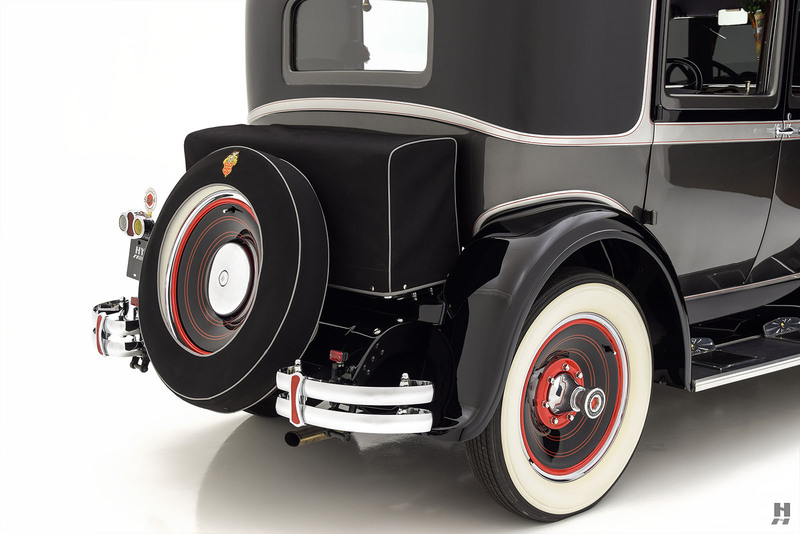 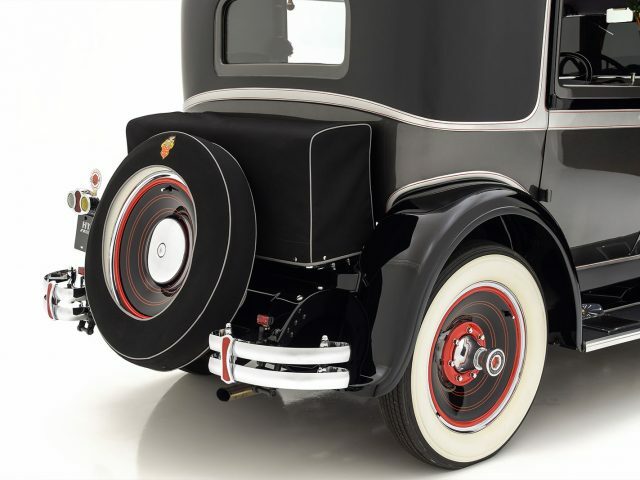 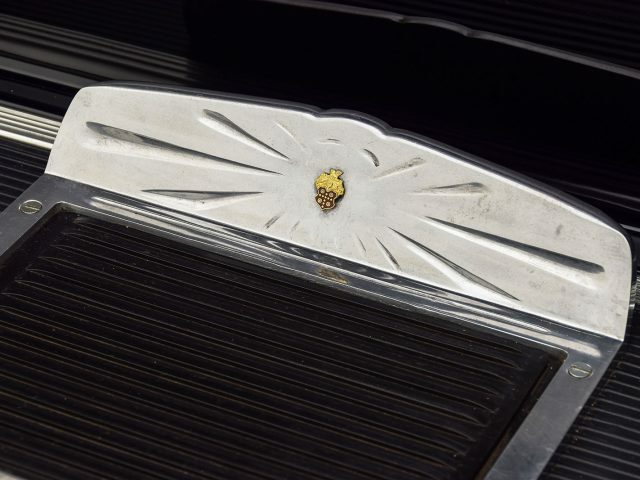 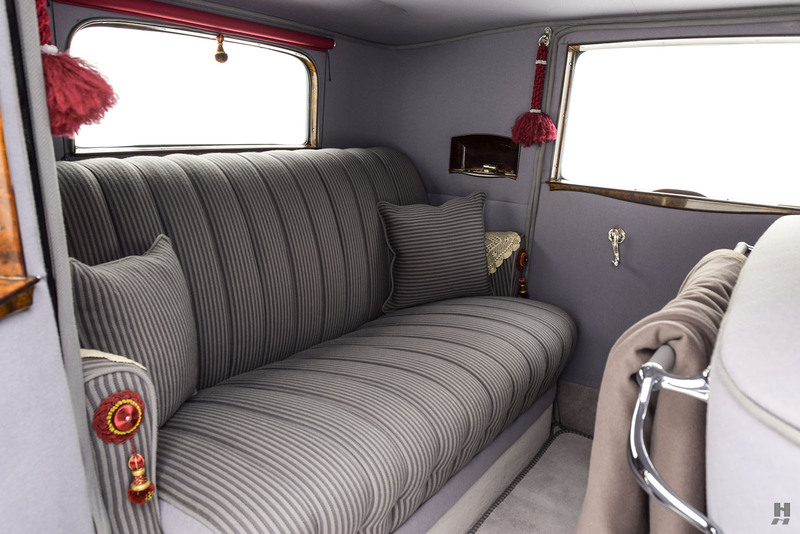 The incredible detailing and presentation are finished to a standard seldom seen on Classic Era sedans such as this. 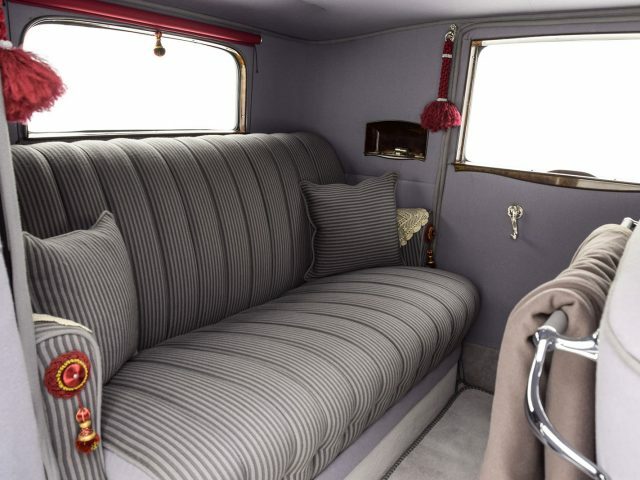 The interior treatment is no less impressive. 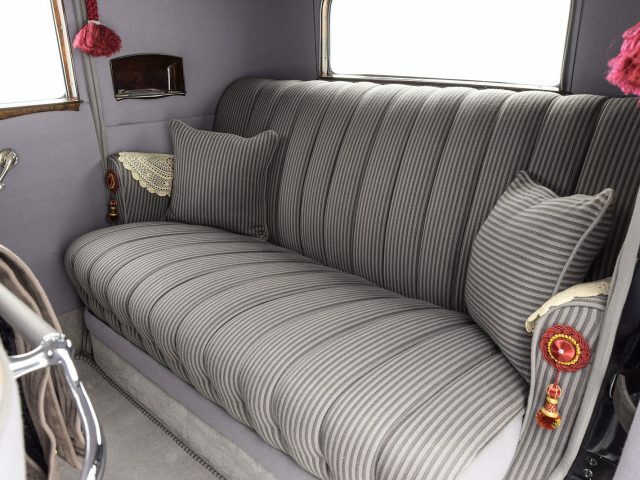 Stripe-pattern fabric covers the seats, with gray carpets, door panels and headlining. 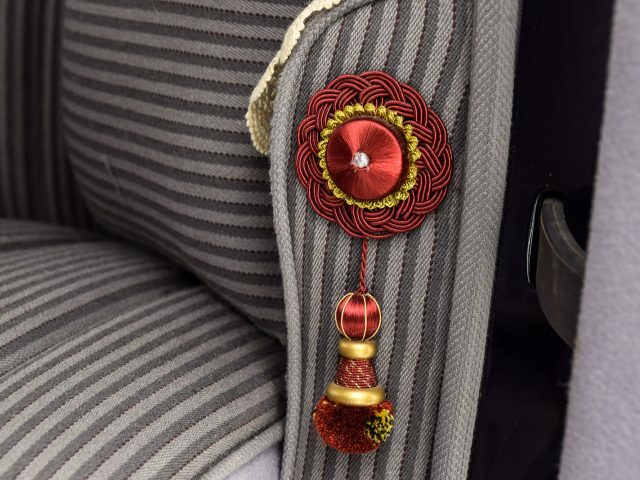 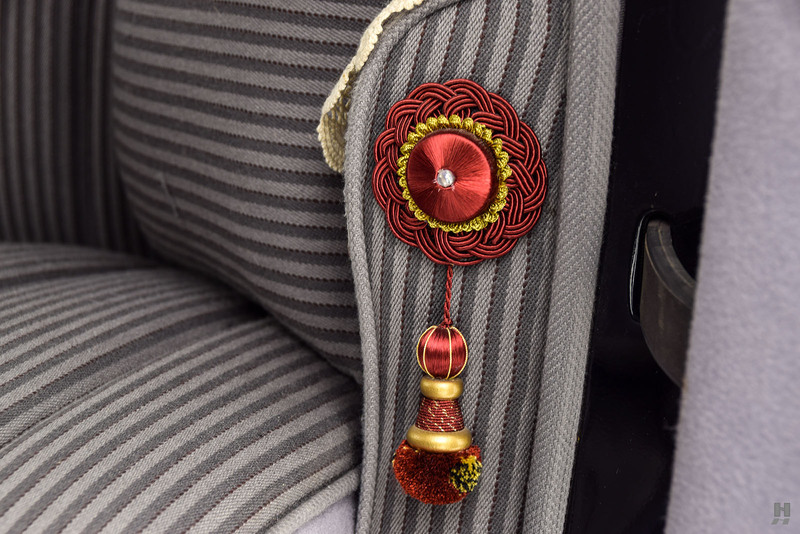 The fit is exceptional, and the highly-detailed presentation is delightful. 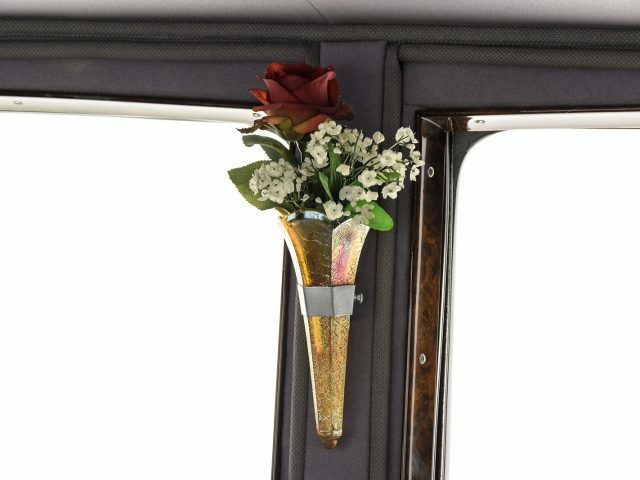 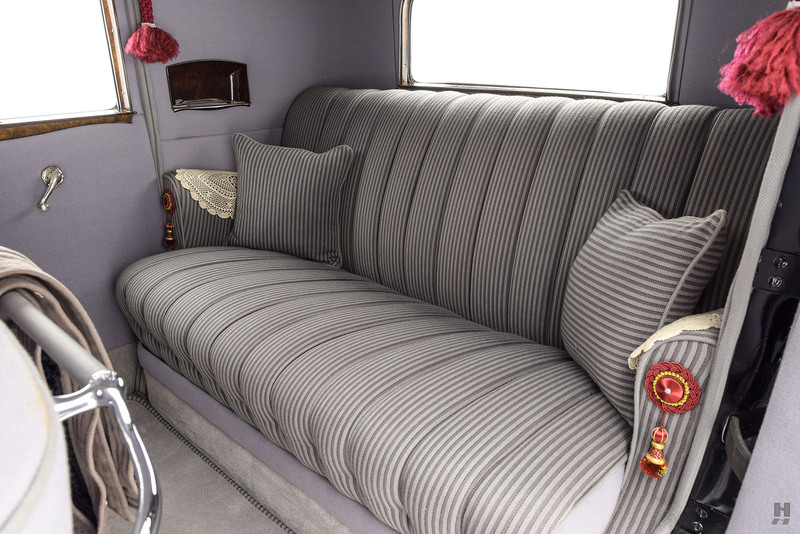 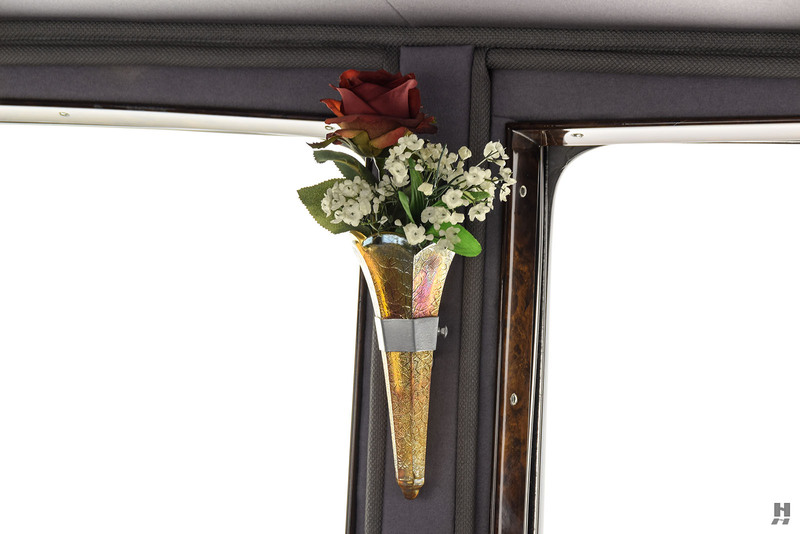 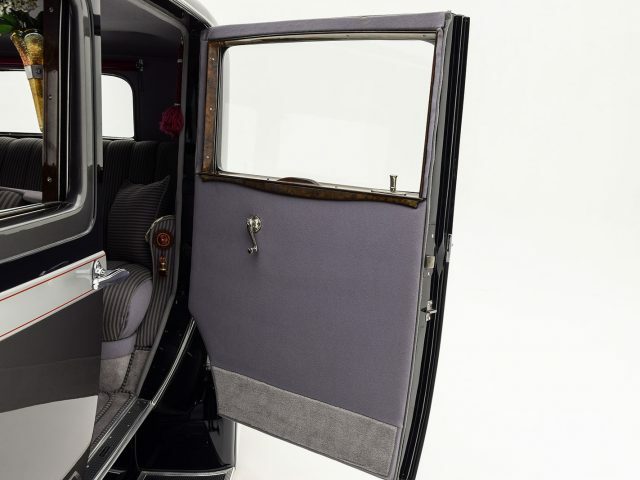 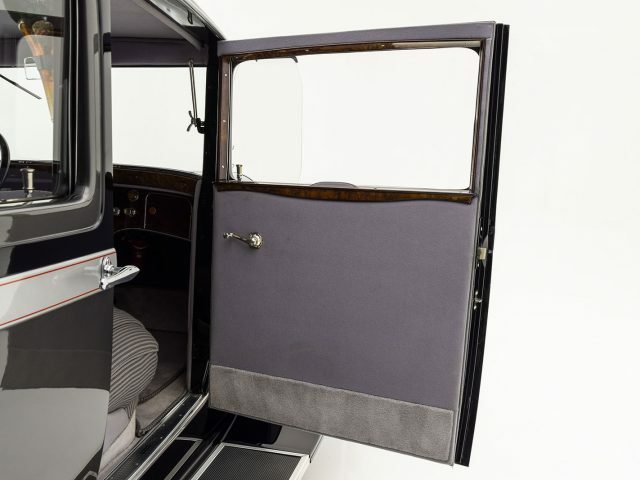 Rear seat passengers enjoy a luxurious, fully-dressed cabin with footrests, a Packard lap blanket on the robe rail, bud vases, rear window blind, and braided grab handles. 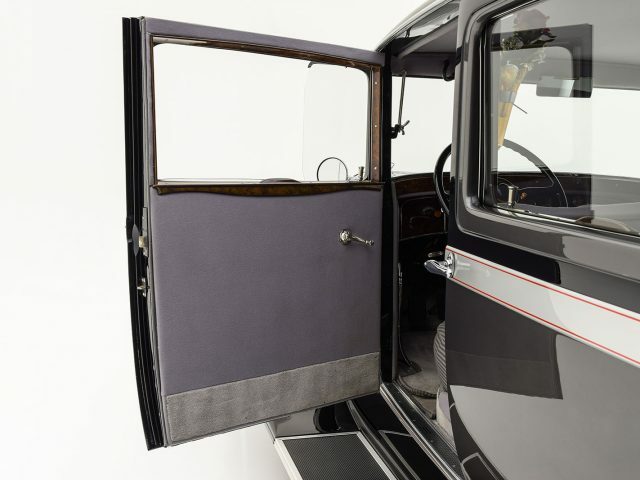 Finely finished woodgrain trim surrounds the windows. 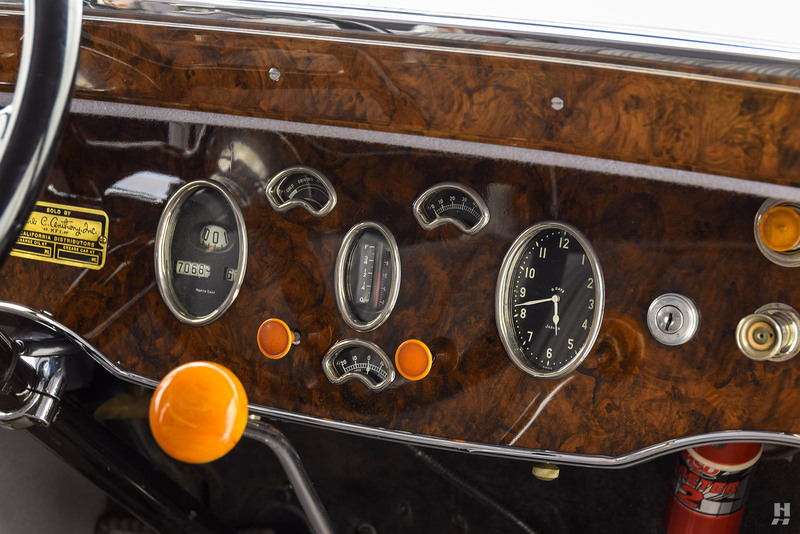 Up front, the driver faces original instruments set into a wood-grained dash, along with restored switches and controls, and given this is a Club Sedan; the driver enjoys a much roomier cockpit than in cars equipped with a division window. 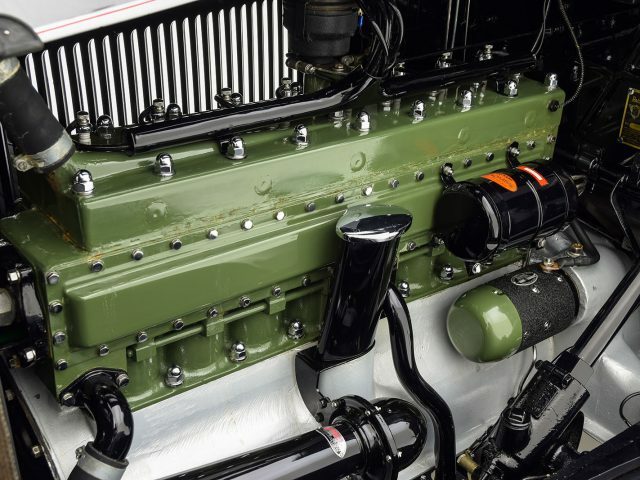 Packard’s inline eight presents in excellent order, finished in correct green and silver paint, with period-appropriate plumbing and fittings. 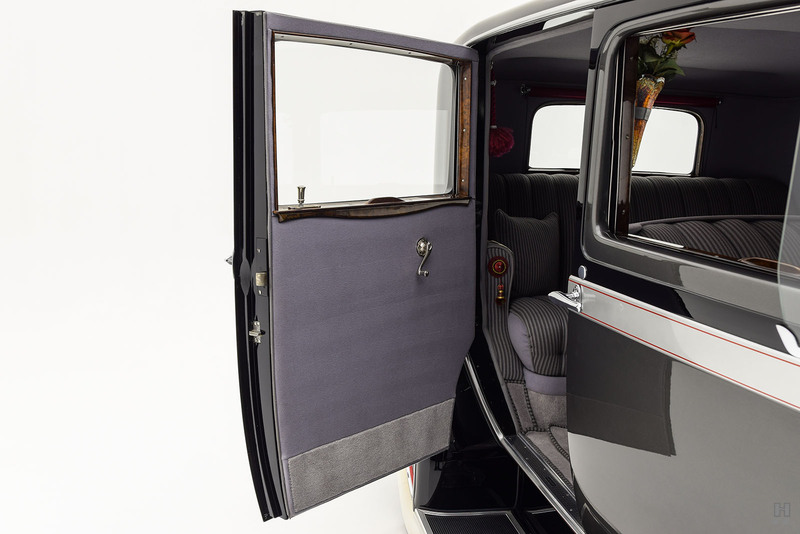 Painted surfaces are quite good, and detailing is to the same standard set by the exterior. 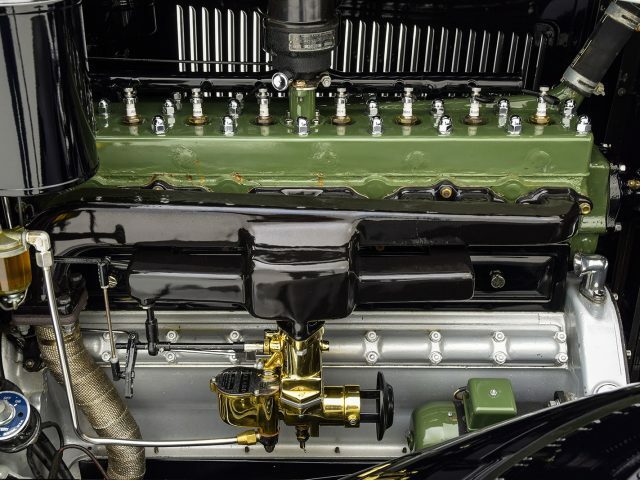 A lovely brass reproduction Detroit Lubricator carburetor feeds the engine, with black porcelain manifolds in excellent condition. 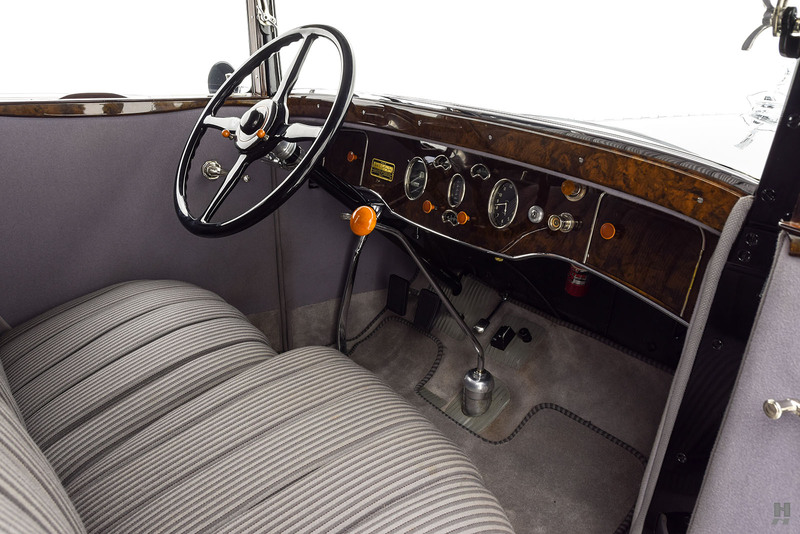 A key goal of the restoration was to ensure the car drives every bit as good as it looks, and it was driven regularly by the then-owner. 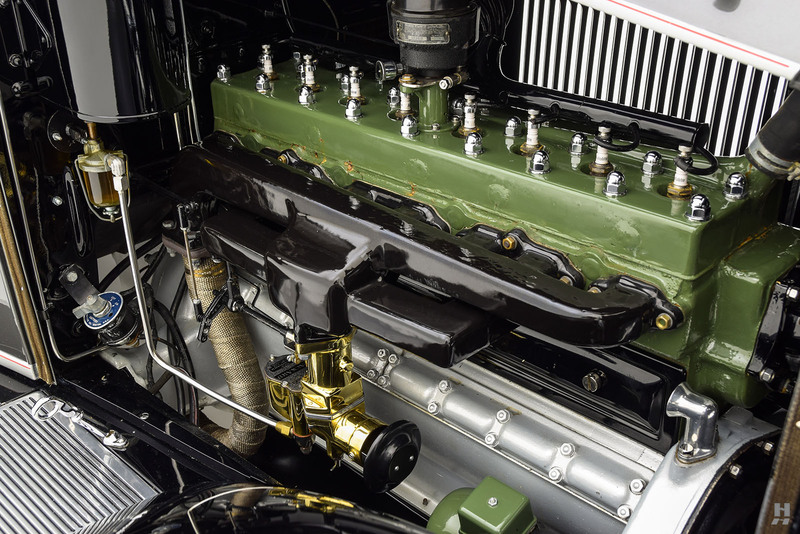 Today, the engine runs very well, and the car benefits from careful dialing-in for enjoyment on the road. 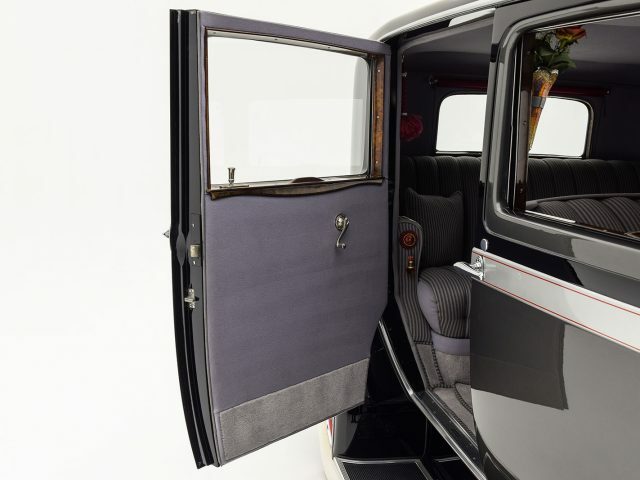 Following the restoration, this Packard appeared at numerous prominent East Coast shows and concours. 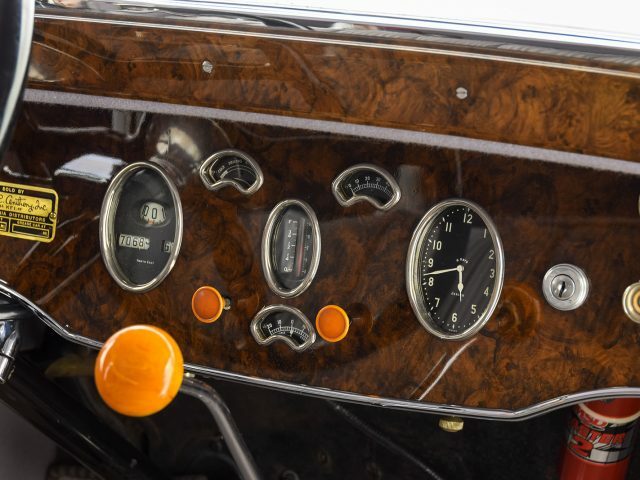 It participated in the Lime Rock Sunday in the Park Concours, Hilton Head Island Concours, Concours of the Eastern United States, and Greenwich Concours d’Elegance. 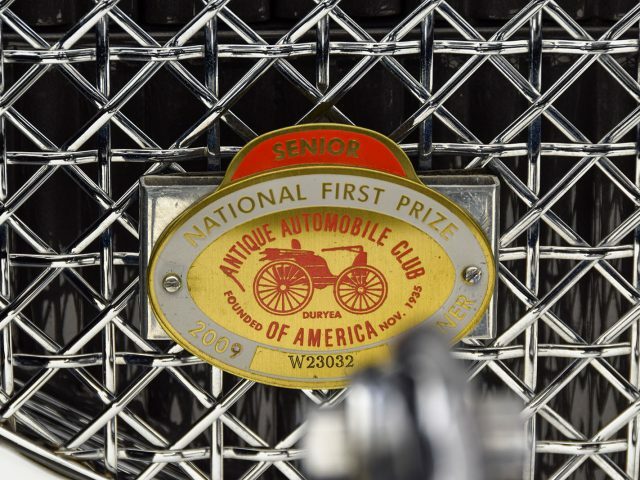 It earned an AACA Senior award in 2009, and in 2012 appeared at the Packard Automobile Club National Meet where it scored an exceptional 394 out of 400 possible points. 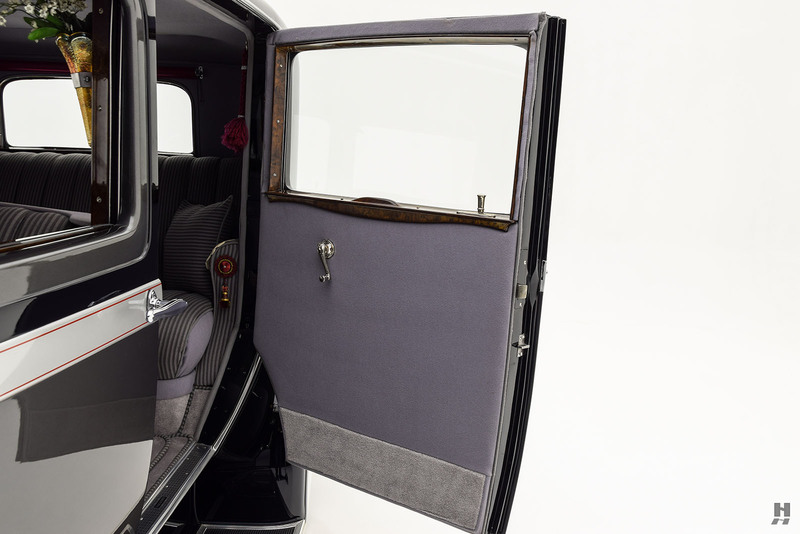 It then passed into the hands of a well-known collector before making its way to the current owner who has continued to maintain it in exceptional condition. 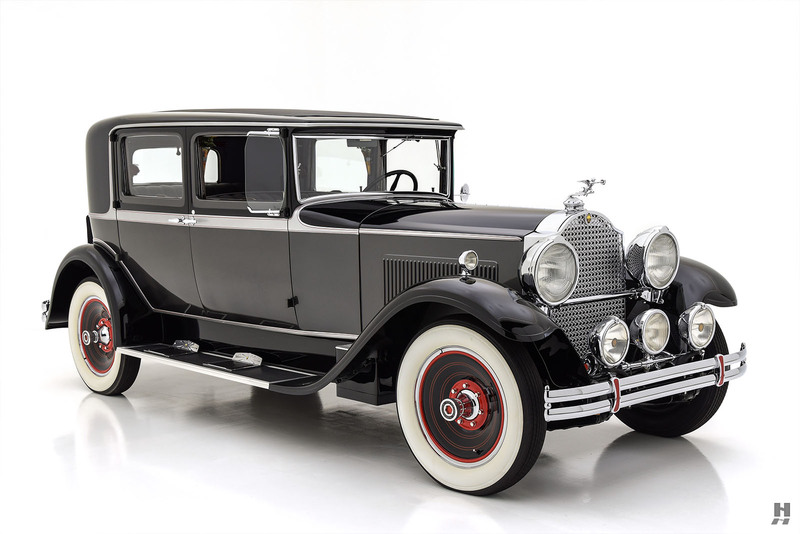 Packard’s 733 was a very prestigious and luxurious car when new, and it enjoys Full Classic status in the Classic Car Club of America. At a time when a Ford Model A started at $435, it took more than six times that amount to get behind the wheel of a 733 Club Sedan. 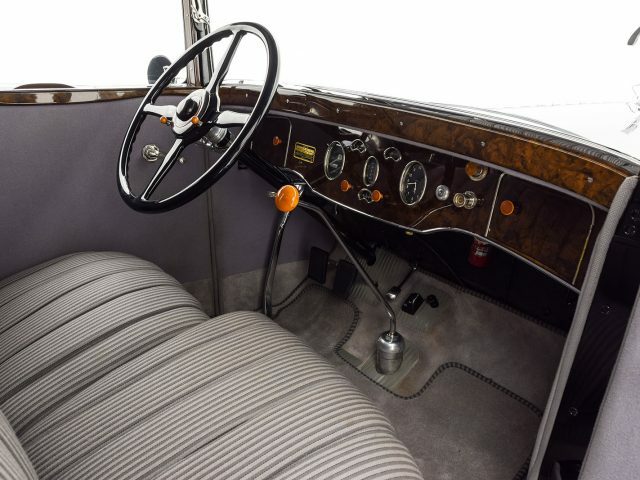 Several enthusiastic owners have cherished this marvelous example, and it remains in outstanding condition. 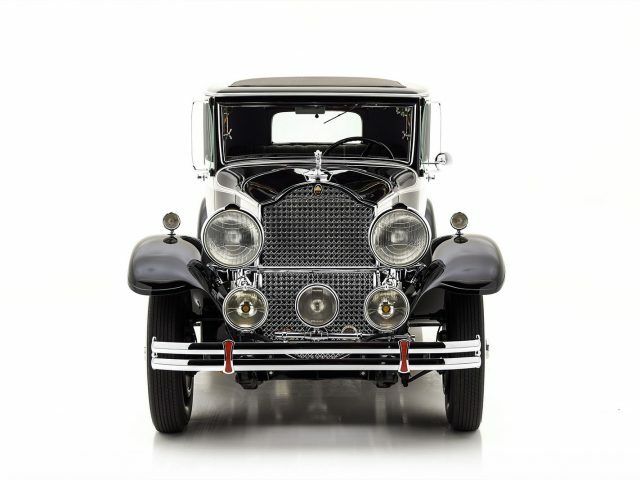 The sale includes a large stack of invoices documenting the restoration, as well as Packard club judging sheets, and period brochures and advertisements. 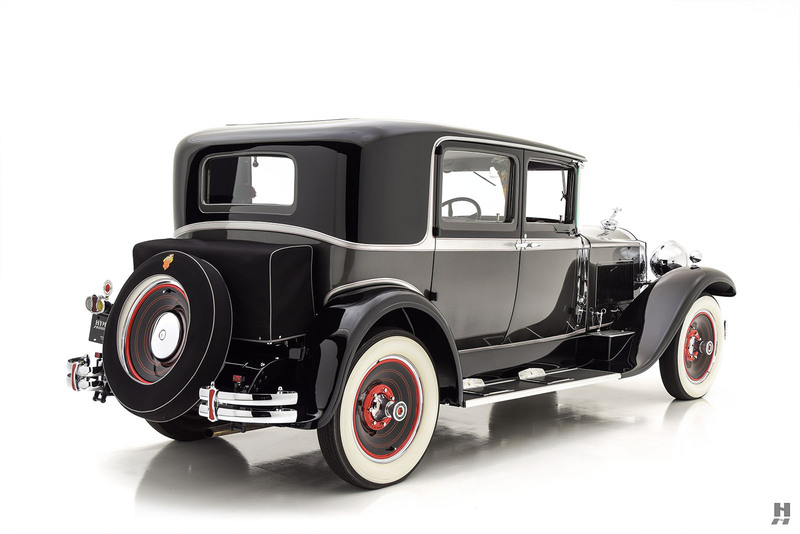 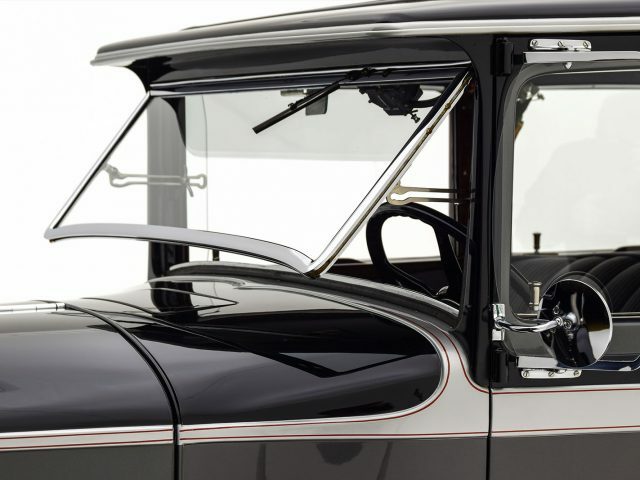 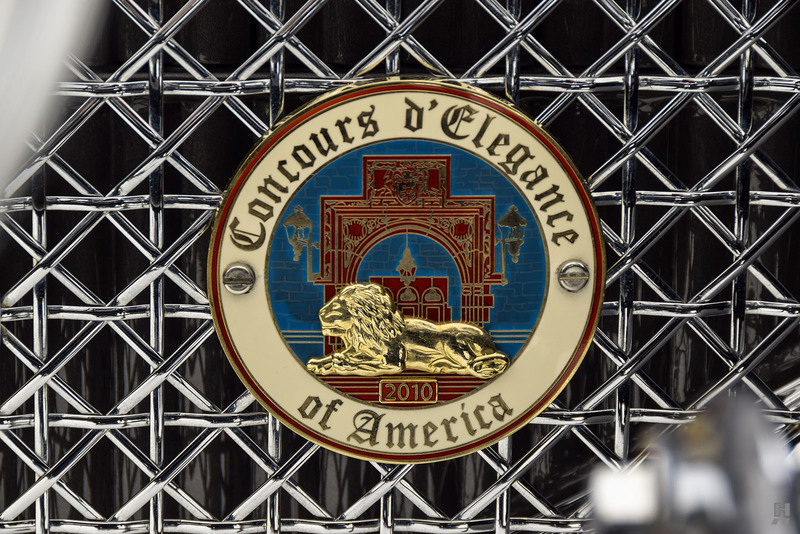 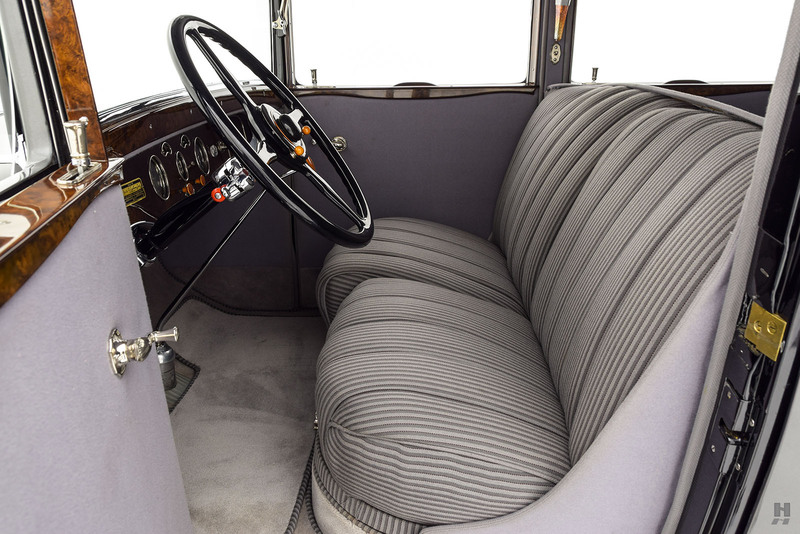 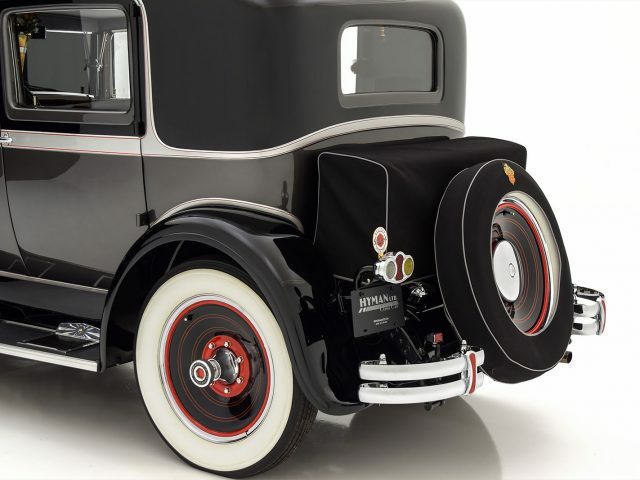 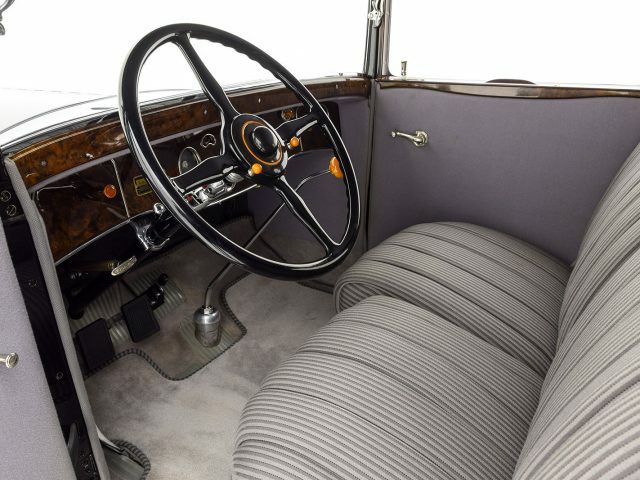 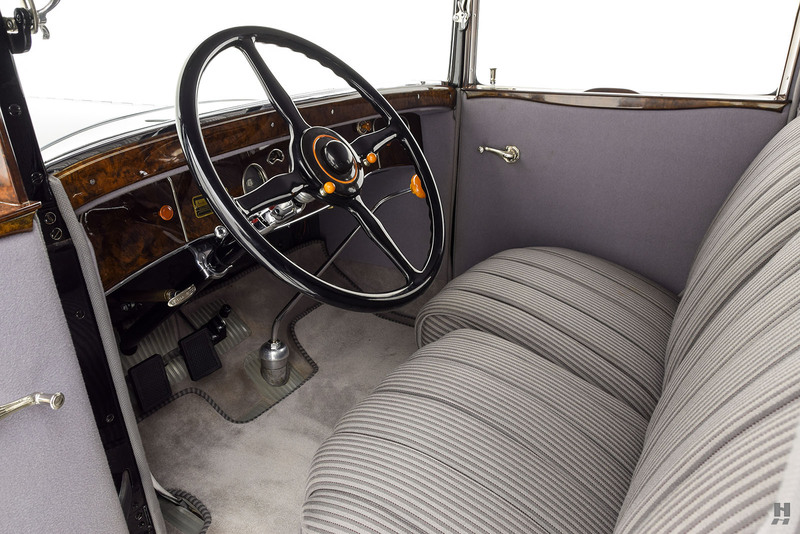 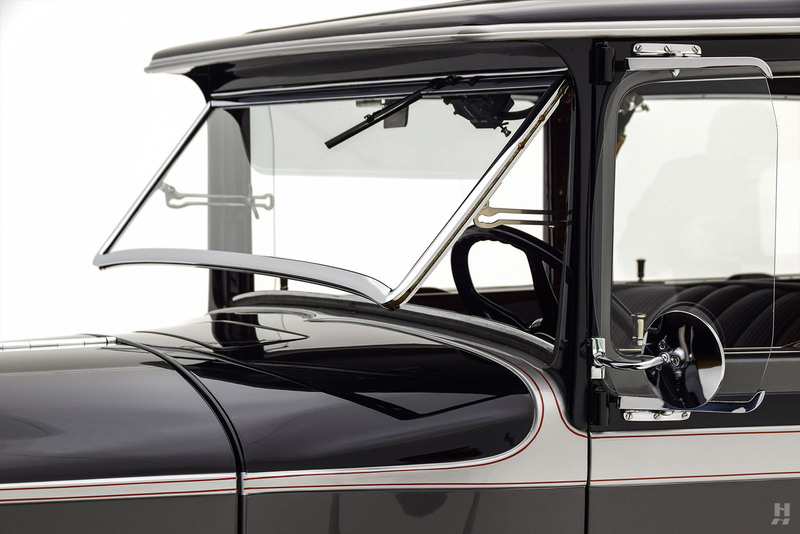 This charming and beautifully restored Club Sedan is wonderfully suited to regular enjoyment on tours, while still retaining a crisp and highly detailed presentation.